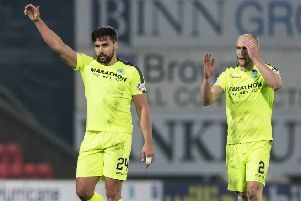 Australia head coach Bert van Marwijk has axed six players from his latest squad ahead of the World Cup, including on-loan Hibs striker Jamie Maclaren. Socceroos fans have taken to social media to react to Maclaren’s omission. Richard Parkin wrote: “Bemused by the Jamie Maclaren outrage, given we have no insight as to van Marwijk’s tactical systems etc yet.